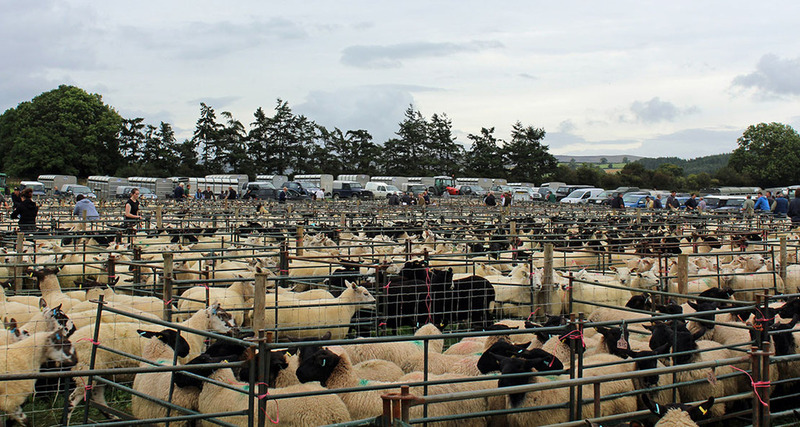 Buyers were ‘nervous’ about purchasing extra sheep at UK auction marts as farmers worried about grass and feed in the dry weather. Sedgemoor auctioneer Paul Ashton said every part of the market had felt the impact of the weather. Store cattle prices had dropped significantly and buyers were ‘nervous’ about buying breeding ewes. However, the best were selling at good prices. “If you had a big run of sheep the first pen would have a tremendous price,” he said. Mr Ashton added their recent breeding ewe sale went quite well overall but without the weather issues it would have been ‘significantly better’. “It really has affected everything,” he said. He added one farmer at the mart had to ‘make his dogs redundant’ in the hot weather as sheep were stepping in the large cracks in the ground and breaking their legs when being rounded up. And Mr Ashton said at their standing straw sale last week they had ‘never seen prices like it’. “People were falling over themselves for straw,” he said, adding nobody in the South West seemed to have any straw left. In Scotland, Lawrie and Symington auctioneer Tam Struthers said it was very dry, with some places ‘burning up’. He added they would be watching what happened over the next few weeks to see the impact on breeding ewes. “Hay and silage has been great quality but there is not as much of it,” he said.